• what is known about the seasonal and vertical variability in AVS in a sediment core ? • what is known about variations in AVS between different sediment and water types ? 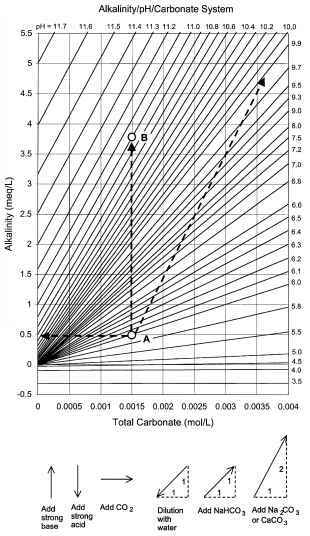 • is the model applicable to aerobic sediments ? • what happens during the process of sediment oxidiation (resuspension, bioturbation) ? • which metals, in addition to zinc, are taken into account ? • what about dietary exposure ? • to what extent is chronic toxicity covered by the model ? The field validation involved aquatic habitats in four different European countries, so that different sediment and water types could be assessed during the long-term colonisation experiments and so could the seasonal variability, because samples were collected in June, September and December (Burton et al., 2003). However, since as much as a 10-cm thick layer of surficial sediments was collected from the various test sites and then mixed before spiking and return (in colonisation trays) to the original sites, it was not possible to assess any vertical gradients of, e.g., redox potential, AVS or dissolved sulphides in the sediment cores. Nor was it possible to assess the behaviour of the original, inherent zinc and other trace metals in the sediment, independently from the added zinc. Additions were made at two levels, 400 mg Zn/kg DM (low-Zn) and 1,200 mg Zn/kg DM (high-Zn). • total Zn concentrations in the sediments showed no relationships with benthic effects. The team of researchers responsible for the study concluded that zinc bioavailability and toxicity in freshwater sediments could be accurately predicted by the SEM/AVS model when the sediment content of OC is taken into account (Burton et al., 2003). A few independent, recently reported, sets of data seem to support the conclusions that sediment-bound Zn usually has a very low bioavailability and toxicity to benthic organisms. When using natural, Zn-contaminated sediments in an experiment where Zn fluxes from bioturbated and unbioturbated systems were compared, it was found that bioturbation did not increase bioaccumulation of Zn in bivalves (Ciutat and Boudou, 2003). In another experiment (Lee et al., 2004) it was demonstrated that the length of the equilibration time was of great significance for the toxicity of Zn in spiked sediment bioassays. Amphipod (Leptocheirus plumulosus) mortality decreased significantly with increase in equilibration time, and a simultaneous decrease in dissolved Zn, suggesting a redistribution of Zn into more insoluble phases as the sediment aged. A survey of SEM (in this case, SEMZn) and AVS data from freshwater sediments in various European countries was also conducted (Vangheluwe et al., 2003). It turned out that the only country presenting an extensive dataset (200 sediments) was Belgium, while only limited data (26 sediments) was available from other countries (mainly from the Netherlands). Based on a probabilistic analysis of existing data, it was found that - in a European context - some 72% of freshwater sediments do not have an excess of zinc over AVS, while some 28% of the sediments may have such an excess. However, if the content of OC in the sediment is also taken into account, so that the potential of the sediments to show chronic toxicity can be directly predicted, it was found that in 8% of the cases, the threshold of 100 ^mol SEMZn/g OC is exceeded. In fact, the empirically determined threshold for effects on benthic communities was 147 ^mol SEMZn /g OC (and not 100 ^mol/g OC), which signifies that the real fraction of potentially toxic sediments (due to zinc chronic toxicity) in Europe would be somewhat smaller. As indicated above, a certain number of results from recent studies of the bioavailability of sediment-associated trace metals have now accumulated, which tend to depict the existence of a more complex situation, indicating that the SEM/AVS//OC model, although a valuable tool for a better understanding of metal-binding mechanisms in sediments, may be an oversimplification of the full complexity of the relationships between trace metals and their toxicity to benthic fauna. In most cases, it appears that the SEM/AVS//oc model tends to provide too conservative predictions, i.e. predictons of toxic effects caused by sediment-bound trace metals are more frequent than the observed frequency in tests where both prediction and observation are conducted. Thus, there is need for continued research to refine the model and ensure that the most attractive feature of the model - its theoretical basis - can be fully exploited. However, the model appears to be quite efficient in predicting non-toxicity of metal-containing sediments. Some relevant results from recent studies were presented in section 5.4.3, and some additional findings are accounted for in the following section, 7.2.3.